One of my favorite topics to blog about it fashion fixes and products that solve some of our biggest issues. Well, Becca Brown had the same idea because when she was 17 and wore heels for the first time she was really uncomfortable. During some prom photographs she couldn't stop wobbling as she stood out in the yard. Her heels were digging into the grass and it made her realize that it's a huge issue. So 10 years later when she was sitting next to Monica in Columbia Business Class, she shared her idea of creating a product for high heels so women won't be sinking into the grass when they wear them. Monica understood this issue since she'd been attending a lot of weddings at that time and knew how frustrating it was to try to take photos in beautiful grass scenery simply because of the high heel issues. Together they created Solemates High Heeler, and now Solemates are available in twelve styles in over 2,000 retail locations around the world. Solemates fit over your heels and are reusable and made in the USA. They prevent your high heels from sinking into grass and they also protect them on cobblestones, bricks, grates, and wooden decks. And another amazing benefit is that they can even prevent damage to antique floors and woven carpets. This is a great way to preserve your shoes since the heels won't wear down so fast. 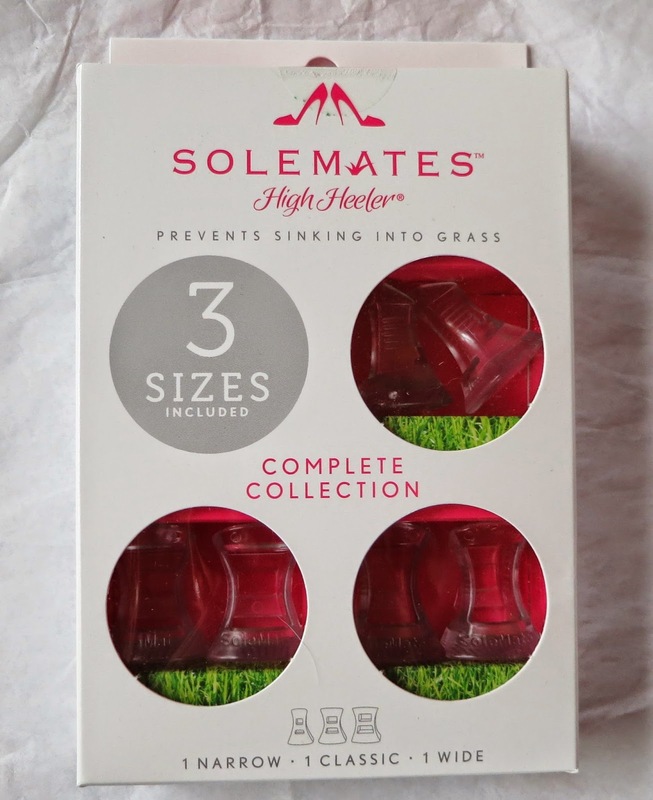 You can get Solemates in 3 different sizes: Narrow, Classic, and Wide and 4 different colors: Clear, Gold, Silver, and Black. 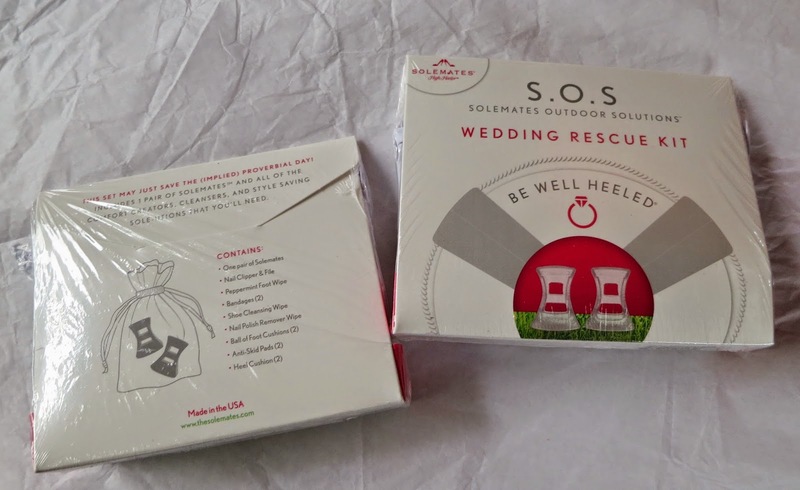 I wanted to give you a brief rundown of the other products offered by Solemates! It's great for weddings, graduation parties, and prom and it makes a fantastic gift! Solemates even offers reusable 100% cotton bags that are perfect for traveling or protecting your shoes. And of course Solemates offers Anti-Ski Pads to give you traction on shoes that don't really come with any, Ball of foot cushions to pamper your tired feet, and Heel cushions to give protective support to the back of the heel. 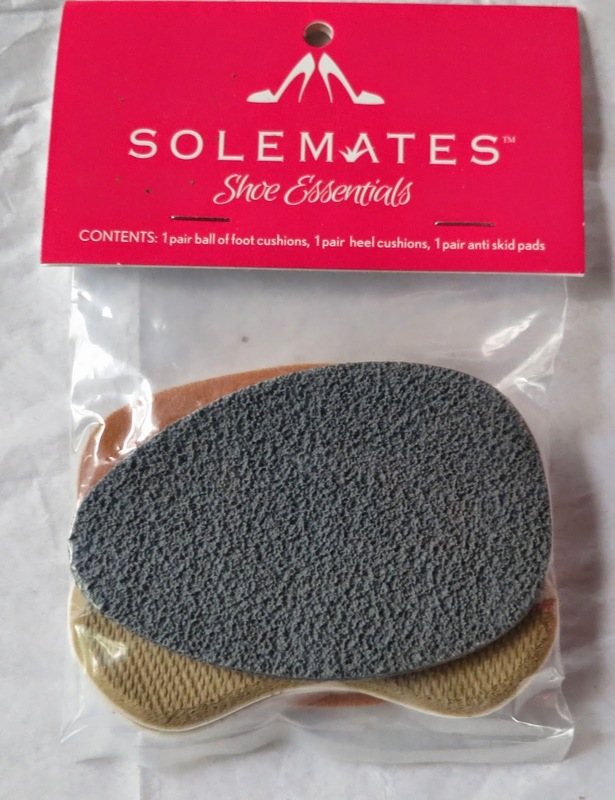 A Box of Solemates Complete Collectioin contains 3 pairs oh High Heelers, one in each size. This is greatfor elminating size confusion, plus most of us have heels in all different sizes. 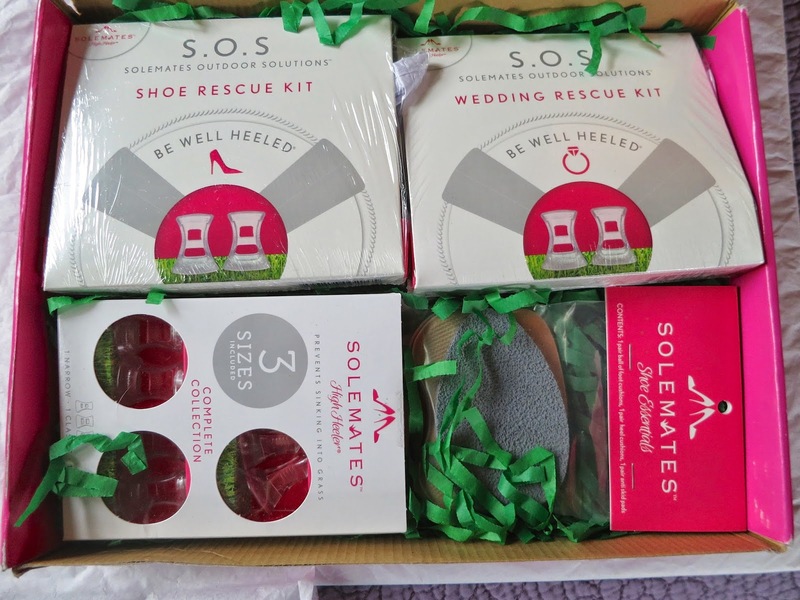 One lucky winner will get a Solemates prize pack like the one above! No more sinking in the grass at summer weddings!!! This is a must :) Thanks for the giveaway! I like the shoe care and protection. My shoes are falling apart! Outfit of the Day: Yes, I Have Swag! Play with a Dog with your phone! Blogger Sign Up Visa GC $100! 5 Reasons I Love Wearing Keysocks with Flats!